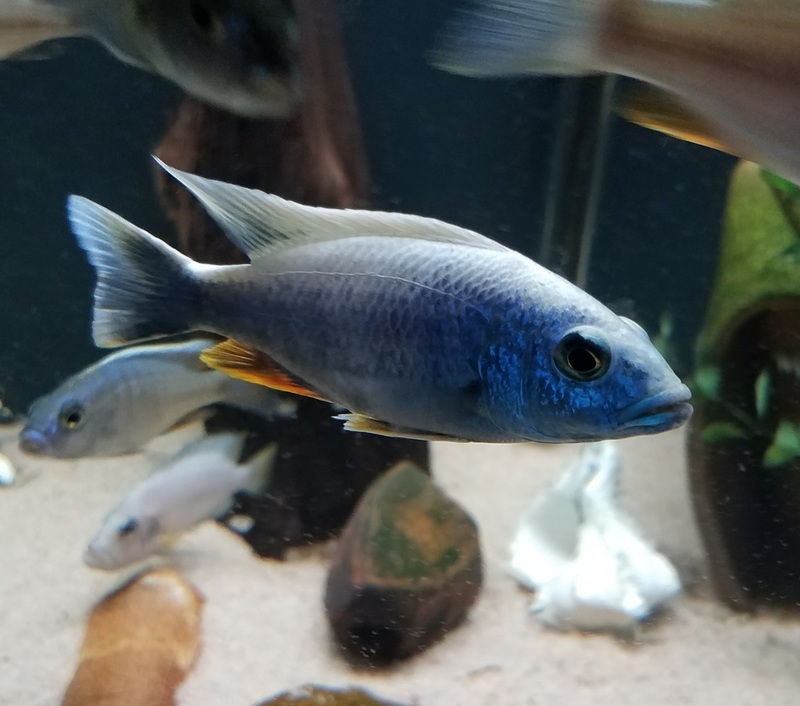 Auction is for Proven Trio of Adult Sciaenochromis Fryeri electric blue "Iceberg" Male is 4". Females will be a bit smaller and similar age. The pictures shows the great blaze of white from lips through the tail. 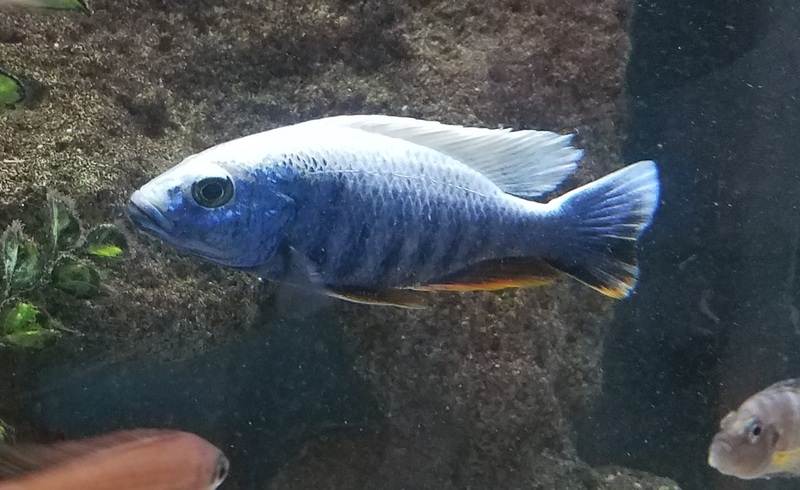 The first 3 pictures are of the actual male you will receive the others are of adult fish raised from the same breeding group. The father is from Czechoslovakia line bred import and the mother is from German Line breed stock crossed back to the Czech line. These are quality Fryeri Iceberg raised in my home, don't miss out. Shipping will be 33.00 UPS 2nd Day Air� Freight or 38.00 for UPS Next Day Air� Freight With guaranteed live arrival as long as carrier delivers on time (Scheduled delivery date). Shipping and packaging costs, I incur are not refundable in the rare event of a claim. I prefer to ship on Mondays and Tuesdays. Fish are packed in insulated boxes with oxygen and add heat packs if needed. Local pickup in Utah as well. Terms and conditions are listed on the just me page, biding represents agreement to those listed terms and conditions.